When I first started this blog three years ago, I made the claim that it’s possible to travel the world for $1000 USD or less per month. And that is a claim I still believe to be true today. I am confident that if I averaged out the amount of money I’ve spent during all of my own travels, the figure would indeed be right around that $1000/month mark. Of course, there are countries you can visit that will require you to spend much more money, but at the same time, there are plenty of countries you can visit that will allow you to spend less, and in some cases, much less. The question for this post is – which are the countries that can be visited or lived in for less than that $1000/month figure? Western Europe is tough to make happen on $1000/month but it can be possible if you really transform yourself into a budget traveler who is willing to cut costs wherever you can. Central, Eastern and Southeastern Europe, on the other hand, are a different story, offering a diverse collection of interesting countries that can be thoroughly explored for much less money. I’ve been spending a great deal of time in this region over the past year and a half myself and I am repeatedly amazed at how good of a value these countries are for travelers. Just head to some of the destinations on the below list and you’ll understand what I’m talking about. In this part of the world, accommodation can be found for less than $15/night and as low as $7/night (for a bed in a dorm room at a hostel), local meals can be eaten for $2 – $10, bus and train transportation is very reasonably priced and other activities (entrance fees) are typically less than in Western Europe as well. Another region of the world that typically falls into the ‘you can travel for $1000/month’ category, you could spend months traveling around most of Central America on a tight budget. I know of many travelers who begin their adventure in a place like Guatemala and several months later, they have still yet to leave. For those interested in a relatively low-cost introduction to the Spanish-speaking world, Central America is a solid option. And if you add Mexico into the mix, you might get stuck in this region forever. Mexico is one of the most underrated countries I’ve ever spent time in. It’s an incredibly diverse land, full of friendly people, with excellent food and intriguing culture everywhere you turn (it’s also much safer than most people think) and you can experience it all quite well even as a budget traveler. With so many countries to choose from, and with most of these countries more than ideal for budget travelers, it’s no wonder that Asia, especially Southeast Asia, is often the first stop on many travelers’ itineraries. With countries such as India and Indonesia offering some of the least expensive travel options on the planet ($500 USD per month is possible) and countries such as Thailand offering some of the best value travel experiences you can find anywhere, Asia is as good as it gets for anyone looking to travel for less than $1000 per month. I’ve now been to South Africa twice and while my particular trips were not exactly as budget-friendly as usual, I did notice that $1000 per month would allow you to travel quite decently over there. You’d have to pay some attention to what you spend each day, and when it comes to the main attractions (ie. wildlife safaris) you’d want to check out the budget options instead of the pricier game lodges, but budget travelers in South Africa can definitely get by and have as rewarding an experience as anyone else. Turkey is another country that can be visited for $1000 or less per month, although, that might not be true if you spend a lot of time in Istanbul, a city with prices that are on par with Western Europe. But outside Istanbul, prices drop significantly and $1000 per month is enough money to ensure you don’t end up broke after one week. Also, over the course of this summer I hope to travel around Georgia, Azerbaijan, Poland and Lithuania, all countries where I’ve been told that $1000 is more than sufficient to travel well. I won’t be spending a full month in each place but I’ll be sure to report back after those visits to let you know how much it really does cost to travel in those areas. So, even a few years after initially making the ‘travel on $1000 per month’ claim, much of the world can still be seen for this reasonable amount of money. Tell that to those who believe travel requires thousands and thousands of dollars and that it can’t be accomplished on such a low budget. One’s own spending habits and travel style also plays a role naturally, but if you’re able to travel simply (which is not the same as traveling in poverty as some believe), you really are able to experience the world, and benefit from that first-hand education that travel provides, for less money than you are probably spending at home. Again, the list above consists of countries that I have personally been to so it goes without saying that there are plenty more out there that are perfect for budget travelers. And that’s why I want your input as well! What country(s) have you traveled to or lived in for $1000 USD per month or less? I am thinking about traveling for the first time and my first place Im thinking of stopping in is Ecuador. Can you give me some pointers? This post was so helpful! EXACTLY what I have been looking for. Great List, if one can find couchsurfing hosts, even Western Europe can be done under a $1000 a month. What about two weeks in India to visit Delhi, Agra, Jaipur and jodhpur? Hey Shanice – Anything is possible…just depends on how you like to travel, how much comfort you need, etc. You could spend two weeks in India on $150 or you could do it on $1000! Is the $1000 including air-fare? Depends on where you’re coming from. US-Thailand? No way. US-Central America/Mexico? Definitely. Having most of my travel experiences from South America, I’ll add in a few countries myself! Peru and Bolivia are definitely doable for less than $1000 a month I know people who have done it in the $600 range before too (Bolivia is a little bit cheaper than Peru). Argentina, depending on how you do it, could be in that range (and also depending on their financial situation), even in Buenos Aires, but you will need to do some research beforehand. The rest of South America can be pretty experience (especially Brazil, Chile, and Uruguay) and those countries fall way out of that range. I’m glad to hear there are still several countries you can travel to on a budget! I agree – many countries in South America fall into this list. A few years ago I lived in Buenos Aires for around $700/month. I did it (partly) by renting a small room in an apartment in a, safe, more lower-middle-class residential area near San Telmo and Congresso. I also have friends in Santiago, Chile who have lived there for less than $1,000/month. I would actually add Spain and parts of France to your list. True, it’s not really possible to do this in Paris, the Riveria, Madrid or Barcelona, but get away from the cities and it’s possible. SW France near the Spanish border is cheap as are places like Malaga and Seville in Spain. It’s a bit more difficult, but it can be done. Can you give me a rough idea of your itinerary? because I have in mind something similar. And what cloths did you take, did you fit them all in one back pack? because there will be a difference in weather. Also, people have been reporting that India is getting a little dangerous, I am an open minded guy, so I just don’t take these reports serious. I have traveled China, and Thailand and have always been welcomed. Great list, India is a great budget travel destination I just returned from four months in India and Nepal and I only spent £2300 including my return flights from the UK. You can definitely travel on a budget, especially if you go out of season you have more room to barter. just wondering, have you been to bangkok/pattaya/hatyai in thailand? I think bangkok yes haha. But if you have been to those 3 places, dy know if it’s expensive to visit those places? thanks ia! Hey Phoebe – It depends on your definition of expensive and your personal travel style. All three of those places can be quite inexpensive and they could also be quite pricey depending on your needs/style. Nice list Earl, we will be hitting most of these spots on our 2 year RTW. We just did Central America top to bottom. Guatemala is totally do able for your $1000 figure, and there is a ton to see there! Amazing country, if you could pick any country in Central America, I would pick Guatemala! Philippines a possibility as well anybody know? And Korea?? This is such a great resource! And I can completely agree that it is possible, particularly if you have the determination to make it work. This summer I travelled to America for the first time in a few years and was pleasantly surprised about the value for money there if you know where to look! Given that I was staying with friends, I had no accommodation costs, and thus this isn’t necessarily a $1000 a month destination but it is still not bank-breaking. This post is a great inspiration. I keep going back to it over and over. When I leave my job $1000 a month is excatly what I’ll have to live on! yeh $1000 is the number Earl – this is what I reckoned on my travels too. We usually travel for three or four months each year, often in Australia or New Zealand which has become very expensive over recent years. We manage to keep our costs down by doing housesitting, which means that not only do we get free accommodation (usually in return for looking after pets while the home owner is away), but also we can keep our eating costs down, by having access to a kitchen, so are able to self cater. Ah this is such a brilliant post Earl and has been so helpful in trying to convince a few of my mates that it’s not all about having huge amounts of money. I think it’s the simplicity and appreciation that comes with a cheap cost of living in those sorts of countries that makes them that much more special. @theboywander: Hopefully your friend will be convinced in the end! Great list post as always Earl! I thought I might chime in with some thoughts about my favorite continent for travel, South America. I will definitely second Peru where one can live pretty well (in my experience, specifically in the wonderful city of Arequipa) for under $1,000. I expect you could live on $1,000/month (actually far less) almost anywhere there. This would let you see all the touristy sights and literally eat every meal in a restaurant. I haven’t spent as much time in Ecuador, but combining my experience and that of friends there, the same is possible almost everywhere there (with the exception of the Galapagos where I don’t think you can even stay for a month, if memory serves), even in Quito. (1) Argentina: I wouldn’t want to encourage illegal behavior, but there’s an official exchange rate in the region of 5.50 pesos to the dollar and an unofficial (“blue market”) rate closer to 9.00 pesos per dollar, so depending on which you use your costs will be quite different. That said, I have a friend currently living in Buenos Aires on 4,500 pesos per month which allows him a decent lifestyle and enough to go out on weekends, but not really enough to do overnight trips. Elsewhere in the country, especially the Andean Northwest, can be much cheaper, but keep in mind Patagonia is quite expensive. (2) Chile is a bit more expensive than Argentina, with basically similar caveats. You could scrape by on $1,000 per month in Santiago, but it’ll go much further in smaller cities. Once again the North (Arica, for example) is much cheaper and I think this budget would be a challenge in Patagonia. (3) Uruguay is actually the most expensive of the countries. You could just about get by on $1,000 per month in Montevideo and quite easily at various places inland. Also, if you’re not there during peak summer season (December-March) then you can find some great deals in the beach towns (I recommend Cabo Polonio for some serious rustic solitude – I lived there for a week on $150, I’m sure others could for even less with a monthly rental). In the peak season though you’re looking at prices 3-4 times as high. One general note, the cost of long-distance buses in Argentina (and to a lesser extent Chile) can really add up, but Argentina’s bus system is quite wonderful. As always, if you travel slowly it’ll be cheaper. Hey Giedre – I shall let you know for sure. Hoping to get there in either August or September! I am 19 years old and haven’t specialized in anything, Im generally into fitness. I was thinking about small jobs like teaching english like you said. I asked this because you insisted in a blog on how many opportunities there are out there for making money so please give me a good start place, like thailand (teaching english), australia (picking fruits), indonesia (digging for treasures), anything. I’m sure some countries are better start places for me than others? When we were in Arusha, Tanzania, on our RTW trip, we chose not to do the Kilimanjaro climb as it would have blown our budget. Back then, it would only have been $350 for the two of us. But, as we always used to tell ourselves, “That’s a month in India”. Also, I think what Earl means by a $1,000 a month budget is one that includes a modicum of entertainment money. These $200 and up, costly treks, dives or climbs should be considered outside of the usual traveler’s budget. Just as a WAG, I’ve always thrown in $5 bucks a day into my planning budget for entertainment. So, if I wanted to do an Inca Trail trek, or whatever, I’d lay low for awhile, so there would be money to do it without going into the emergency fund. Hi Steve – thanks for your comments and we’ll have to agree to disagree I’m afraid…each to their own!! I would only have done Machu Picchu on the Inca Trail. There is no way I would have went all the way to Peru and then cheated and got a bus to Machu Picchu! Or done the Salkantay Trek (which doesnt allow you to waken up at 5am and hike down to admire this lost city) I wanted to do it properly – sleeping in tents, wakening up to epic views and a fantasic hike. I loved it. I agree with the last bit of your comment though and I use that tactic a lot. If I overspend on a major site, I’ll stay in a cheap hostel for a few days and just write my travel blog without going out and spending a lot of money. Great list, Earl. I would also be tempted to add China, as I travelled there for around $1000 a month (though it was three years ago), by staying in dorms (which I found to be of a standard on par with or higher than in Western Europe) and travelling by overnight train or bus. If you stayed in private rooms in hotels and flew around the country, it’d probably be too expensive to be on this list, but still. Thanks Sam…seems like a few people mentioned China, a country I haven’t been to (at least not to the mainland). Maybe I should look at going soon! Hey Megan – Hungary works as well. And perhaps I’ll see you in Georgia this summer! Hey Jonas – Like I said, it depends on your skills/knowledge/interests and what kind of work you want to do. There is no one country that offers endless opportunities for everyone unfortunately. Great post Earl. Do you know any good snow skiing resorts/towns one can stay in for a season on a budget, living in Australia the southern hemisphere options are limited and very very expensive. I hear eastern europe is good though. Hey Leo – I don’t know of any good ski resorts/towns unfortunately, mainly because I avoid cold weather places as much as possible. However, I have heard that Easter Europe, as you did as well, is a good option. I know there are places right here in Romania that are supposedly cheap and you can live in small towns near Brasov, and be quite close to the mountains. Interesting take. I’m not a budget traveling, but it’s nice to know that these options are out there! Great resource! Regarding Europe though — in my experience Croatia is just as expensive as Italy. And Portugal is a Western European country that is really great for budget travelers: Hostels for 17 Euros per night, normally less than 8 Euros for a dinner out and an espresso or a beer is usually only 50 cents. Hey Julika – I think Croatia can be as expensive as Western Europe but I’ve been a few times and always managed to keep it under $1000/month relatively easily. So it’s definitely possible if you choose accommodation, dining, transportation options carefully. Thanks for adding Portugal…looks like it might be able to visited for around the $1000/month mark with those prices. Hey Jeremy – Let me know if you make it over to Romania! Hey Earl, we are traveling (well, living, at the moment) on less than that, which as a couple is much easier due to shared expenses on everything. I think $1000 is a great number for budget travelers as even on that you live and eat like a king in many countries (mostly SE Asia). And I agree, if you are savvy, its much cheaper to travel than people realise. Hey Sarah – Thanks for the input and I do agree that traveling as a couple can help keep costs even lower. Glad you’re making it happen out there! Graham Hughes visited 201 countries in 4 years, and I think he spent something like $19,000. That’s $400 a month. Hey Ed – Of course, it’s possible to travel on a very tiny amount of money, that is true! I just like to give a budget of $1000 because I personally don’t want to rely on strangers all the time and constantly accept free places to stay, free meals, free transportation or other things that cost locals money. You can definitely do Ukraine for less than $1000/month. Same with Armenia and Georgia. Azerbaijan would be trickier as prices in Baku are close to Western Europe or higher (I almost accidentally bought a pint of ice cream in the grocery store for $20 there!). Even outside of Baku, things are pricier than Georgia or Armenia. Would also add Tajikistan, Kyrgyzstan and Uzbekistan to the list. Thanks Katie for the info! Great list. The only thing about Asia is actually getting there. Plane tickets can be expensive and often will cost more then the month trip itself. A good reason to spend a couple of months there right =P. Hey Gabriel – Flights do often cost the same as one month of travel over there in SE Asia but like you said, if your trip is 2 or more months, you can still make it happen for about $1000/month when all expenses are averaged out. Hey Metodija – Welcome to the site and thanks for the kind invitation for readers to visit Macedonia! Great approach Earl! As a Travel Agent is not uncommon to fit Holidays in people’s budgets, and USD1,000 sounds reasonable to me when it comes to paying for flights and accommodation in a foreign Country. I myself have gone to Indonesia with my partner, 4.5 star accommodation + flights for AUD800 each, last April. Here in Australia, for less than AUD1,00 you could fly and stay in most of the south Pacific Islands and most of Asia, if booked in advance. A good knowledge of seasonal travel plus heaps of patience will be definitely helpful. Great article as ever Earl. And mostly you are right. However I can’t believe you have left out China!! It is without doubt one of the easiest and best countries to get by on a cheap budget. I can get by on $500 a month here – accomodation is as cheap as there is, beer and food is the cheapest on the planet and the only real cost is sightseeing (national parks can cost a fair whack). Less than $1000 in China is easy, I spent about $90 US last week and that included some entry fees to sights, temples etc..
Also while this budget is possible in most parts of the world, it will unfortunately mean missing out on top sights…e.g. The Inca Trail in Peru (around $250 for 4 days if i remember right, and rising), hiking most mountains (I recently done Kinabalu over 2 days at a cost of around $267!) and lots of national parks charge entry prices (even Yuanyang in China now charges $20 for 2 days) and so to get them done for $1000 a month, might be tough but of course if you sleep rough and dont eat well, can be done in most countries. Other countries for me which I’ve done on this budget are Northern Ireland, Laos, Paraguay and Uruguay. Sri Lanka sadly is just not cheap anymore – even climbing Sigiriya these days costs $30 and the hostels and hotels have gone up a lot. Of those Northern Ireland is the most commercial but still the cheapest part of the UK to go backpacking in. As for missing out on the sights, I think it’s still possible to include those. First, there almost always ways to do things cheaper and second, if the price is high, factoring that into your budget over a several month trip is still doable. As I said, the idea is that you need an average of $1000 per month when traveling and if you overspend one month in order to do something that you really want but costs a lot, the next month you simply cut back and spend less. Great list! I don’t think I could ever be a true budget traveler, but this is a good basis for planning to know what countries can easily be so affordable. My husband and I are starting to research places to go for about 3 months this winter, so this helps. And it’s always great to show people travel isn’t as expensive as they think it is. Hey Ali – Most people are quite surprised by how comfortable traveling on $1000 per month can be in many parts of the world! Let us know where you choose to go this winter! I was in Croatia and Slovenia! I know better Slovenia then Croatia, but I love both countries. Slovenia is a small country but very nice! I love the region of the lake Bled! I was in summer but I think that it should be very beautiful in winter. Piran, Koper, Liubliana, Bled.. amazing places! In Croatia I just went to Zagreb and the north cost and I loved. The region of Pula is very nice. Rovinj is a small vilage with very charm! Hey Karen – Absolutely…there are always decisions that we can make while traveling that will reduce our costs even more and renting a place for a longer-period of time in one location is certainly one of them! how interesting!I was surprised about South Africa. I thought it would have been much more expensive…good to know! The more i read these articles and the more i want to keep on going. One of my dreams would be to cross the ocean and get to see central and Latin america. I’m currently living and working part time in Thailand, the cost of the ticket to get to is going to be massive right? would be nice to visit mexico or Peru’..
Hey Kle – The ticket will be on the higher end for such a journey but just keep looking at prices because you never know when a good fare will pop up. Also, sometimes you have to get creative. Look for cheap flights to Europe, then a cheap flight on maybe Condor Airlines or Air Berlin from there to Mexico. Definitely Morocco! I lived in Rabat for two years and was able to travel a lot within the country, spend a summer in France and make a big trip to Turkey/Syria on a $1200/month salary. I had a nice apartment, ate well, splurged every now and again and still brought thousands home in savings. $1000/month would not be a problem at all! Thanks so much for your blog, Wandering Earl! And thank you for adding Morocco to the list Brandi! Cuba. I spent 3 months this past winter and it can easily be done on less than $1000 a month. However prices are increasing and the general feeling is that when the US embargo is lifted prices will jump. So go now if you are on a budget! Hey Robert – I can imagine that Cuba will become quite expensive soon enough. Now is definitely the time to go. $1000 goes a long long way for a month of stay in Palawan, the Philippines! Thanks Dennis…Philippines is very high on my list of places I want to visit soon! It’s possible to live in Taiwan for 1000 USD a month as well. I don’t hear much about Taiwan as a traveler destination (except from the Japanese), but it’s a beautiful country with great food and friendly people. I lived in Taipei for 3 months from February this year. Accommodation can be a bit more expensive than most of the other countries in Asia (for a decent room in a shared house/apartment, expect to pay around 350USD, especially if it’s a short term rental), but otherwise the cost of living is just as low as Thailand, for example. That said, it depends on what kind of lifestyle you live as well. Hey Masa – You are right, you don’t hear much about Taiwan as a travel destination. I’ve been myself but not for a long period of time and from everything I hear from those who do make it there, it is a wonderful, reasonably priced place to visit! We spent almost 4 weeks between Bulgaria, Serbia and Romania and 1 night in Bratislava, Slovakia and enjoyed all of them, especially Bulgaria and Romania. I think you’ll enjoy all of those countries as we’ve heard great things about all of them. Hey Earl – As you know, those are some of my favorite countries and of course, I’m still having a hard time leaving Romania! I was just in Europe a while back and had a blast in Croatia, Montenegro, and Albania specifically. I met two men in Albania who have been living there for a while. One from America, another from the Netherlands. They only paid around 250 Euro a month for accommodation which included breakfast. I barely spent money while staying there and ate really well, saw great sites, met amazing people, and went on a great hike. 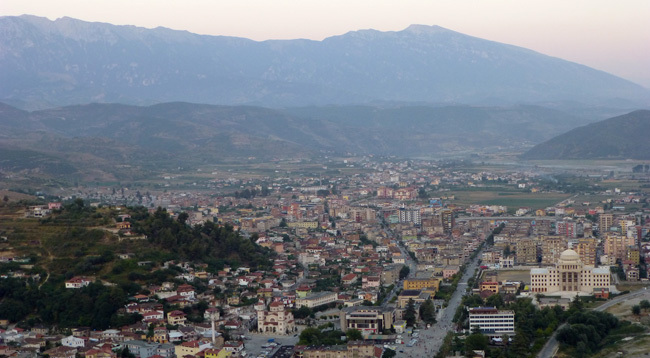 I have a soft spot for Albania and wouldn’t mind staying there for a while paying 250 Euro a month. I totally agree with you, Earl. It’s not only possible to live on $1000 or less in many countries, but to live well. Thanks for the informative article. Hey Cynthia – Absolutely and sounds like you had some excellent experiences in that part of the world. I had a great time in Albania too when I was there last summer! Given the increase in popularity for Couchsurfing and HouseSitting, traveling for under 1k/month is possible just about anywhere. I definitely think your are spot on with the countries you listed…definitely all very friendly to budget travelers! Hey Wade – Great point. Not only do you save money on accommodation with those sites, you have experiences that often times would not be possible if you stayed at a hostel/hotel. Not a bad combination. Earl, what about the Philippines? While I stayed in comfortable hotels, I have traveled quite a bit across Malaysia, Thailand, and Cambodia and I agree all can be done for well under $1,000/month. I wondered what the hostels on Mosque Street in Singapore for for a night. If you eat street food you could probably do Singapore for under $1,000 also, but that might be pushing it. Hey John – Singapore might be possible but even a dorm room can cost about $25/night and more, so it would be tight. But with couchsurfing, as many others have pointed out, it is definitely doable! Think China could be added. But I understand why you may have omitted it. China is about as cheap or expensive as you want to make it. Outrageously expensive in some senses dirt cheap in others. Hey Colin – Actually, the only reason I left it out is because this is a list of countries I’ve actually been to and since the only part of China I’ve visited is Hong Kong, I didn’t want to include the entire country. What about Morocco? How much a month for Morocco? Earl, I noticed that you missed Belize on the Central American list. Maybe you haven’t been there and that’s why, but it’s much the same as all the other countries in C.A. for the cost of living in paradise. Hey Steve – I have been to Belize but it’s been a long time and I wasn’t able to get any feedback from anyone who has been recently. But it’s good to know that you can still travel there on a low budget as well. Your experience down in those parts must have been unreal driving that truck around! If my week-long stay in Krakow, Poland was any indication, Poland is definitely an inexpensive place to visit! My hostel bed was $9 CDN a night (6-person dorm) and it was the cleanest one I encountered in Europe! And I still rave about the delicious meal of perogies and salads we had one day for only $3 CDN. Definitely a great inexpensive place to visit, rich with history. Hey Brianna – That’s good to know since I plan to make it to Poland in the next month or so! Glad to read all your recommendations, as well as in the comments. It’s great knowing there are many places to travel to so cheaply to help balance out some of the more expensive places. It also makes places I may not have thought of before to travel to more appealing. I lived in Budapest, Hungary for about $650 a month including accommodation in the centre of the city. Food is relatively inexpensive if you avoid the tourist places when eating out. The markets are really affordable and many attractions are free or low cost. And I agree, the surround countries: Slovakia, Romania, Serbia etc are very affordable. Slovenia is a little pricier, but definitely a lot more affordable compared to much of Western Europe. For us it depends on how fast we are travelling. If we slow down and rent an apartment for a month or more then things are much cheaper. We are living in the little Mexican beach town of San Pancho at the moment for $550 each per month (sharing a house as a couple). As we don’t like to stay in hostels much (definitely not dorm rooms as a couple) then things get much more expensive when we move around more. It’s definitely possible in many of these countries though without watching the budget too much. Morocco, my friend! Please put this gorgeous country on your map, you’d love it. We traveled for a week across Northern Morocco to three cities and a camel safari to the Sahara from the village of Merzouga with return tickets to Spain for 500 Euros tops. Fez is a very special city to me, cheaper than most others and walking through it’s Medina was like peeling an onion. The cultural ties are so dense! Thank you for opening up this space on budget travel – students, backpackers and such minority travel groups – will appreciate it a lot. Another topic that can be linked to his theme is this: budget travel and how the tourism in cheaper places conflict with regular travelers that splurge away. How content are you willing to be? In Hawaii I once slept on the beach (away from where the authorities might be looking), ate cereal and peanut butter, showered in a waterfall, read some books that I’d brought along, swam in the ocean, and watched the sun go down every night. The month cost me $66. Hey Ed – It definitely all depends on a person’s travel style and what they’re looking to get out of their trip. Ultra-budget options always exist as well as your own experience shows. Does anyone recommend any of the following countries? I intend to do some budget travel myself, very soon as my 40th is coming. I’m from Slovenia and everything Earl said about my country is true 🙂 If you have some questions, just shoot! You’re very welcome Ash and yes, definitely a great resource for travelers! Yep, I’ll second Bulgaria and Mexico, and also throw in Colombia. I spent 2.5 years in Sofia (Bulgaria) living for well under $600 USD a month, in Colombia for about $450 a month, and here in Mexico I run on about $650 a month. Great list! Thanks for sharing, Earl. Thanks for adding your input Tim! I’ve lived in the USA for under $500 a month. Any things possible if you have a goal. Hey Russell – I’d imagine that it is possible to live in the US, as you are about to demonstrate. I think for someone who is looking to travel around the US, it would be a lot harder though. In Latvia it’s definitely easy to live for 500/600€ per month. Same in Lithuania (not mentionned in your list, but really, really cheap too!). A few years back, in my hometown in France I lived easily with 800€/month, now it’s a bit tough. I’d say 1000/1000€ per month is okay. But in Western Europe, you can live for really cheap in Southern Spain (Andalucia), or Portugal. Even in South Italy, it’s quite cheap too. Hey Jeremy – I hope to visit Lithuania this summer so it’s good to know that it can be done quite inexpensively. And good points about Southern Spain and Italy as well! Morocco – definitely less then 1000€/month 😉 I spent around 400€ for 3 weeks but I mostly stayed with couchsurfers 🙂 The only negative thing is the price of transportation, I’d say I spent around half of my budget only for buses, although I did travel all around Morocco. Hey Luisa – A few people have mentioned Portugal which is great to hear. I loved my time there but was not there for too long so I didn’t get a good enough idea of how much it would cost. Seems like quite an inexpensive destination and a great value. I spent the month living in Koh Phangan, Thailand (My first month living abroad (and not traveling)) and it was refreshingly affordable. Even being a tourist area with higher then mainland prices, with a house and a motorbike I was well under $1,000. Great post Earl and I agree with most of it – but as you and I know, the thing is when you budget that low, then some of the major sights just cant be done (unfortunately). The Inca Trail in Peru for one (around $250 for 4 days if i remember right), hiking most mountains (recently done Kinabalu over 2 days at a cost of $267) and a lot of national parks (for example Yuanyang in China was $20 for 2 days) and so to get them done for $1000 a month, youre pushing it, but worth a try and you’re right to remind your readers that it CAN be done (you might be eating beans on toast and drinking only water for a month though). Where have I done for less than $1000?? 1. You forgot to include my favourite cheap country – China!! Probably the cheapest of the lot and the easiest to manage on less than $1000. I spent about $90 last week in China (7 days of backpacking…check one of my posts on Chongqing – more to come). Heading to Nanchang on Friday and will be budgeting for about $25-30 a day as Im doing a national park. Beers and food can cost $4 a day for all meals. Transport $1, unless youre moving towns in which case budget for $10. Accomodation in China? $5 a night – if youre paying more in China then you dont know how to budget! 2. Other notable countries for me which fit this budget are Vietnam, Laos, Paraguay and Uruguay. Sri Lanka I was there in February and the prices of things have simply gone up too much, it was one of the most expensive “backpacking” trips Ive done in years. It cost me $30 alone to get into Sigiriya!! I’m currently living in Northeast China and living on less than 1,000 a month (of course it helps when the school you teach for pays for your apartment.) If I was a penny-pincher, I think it’d be easy to live on closer to 500 a month, but instead I live comfortably, (go out for food, take taxis, treat myself to imported goods every now and then etc.) and I still spend well under 1,000. Love your blog, I share it with fellow travelers. Hey Andy – Thanks for that and I appreciate you spreading the world about the blog! And that’s good to know about China as well…so many people mentioned it that I might have to get there myself sometime soon. For us the living costs not really depended much about the country where we have been They depend more on what services we use and how we live. You can always walk instead of using taxis and buses and sleep in public places like airports if accommodation is expensive.